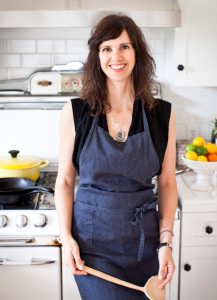 Cookbook Author Erin Scott brings Yummy Supper to PDX! Erin Scott, author of the newly released Yummy Supper will be coming to Portland to sign books, offer tastings, and even teach a cooking class (scroll to end of post for details). The location is not 100% gluten-free but her recipes are. We had a chance to ask Erin a few questions about herself and her book. I have my copy on my desk as I plot out which recipes I’m going to make in the next few weeks. Can’t wait! Dr Samantha: How did you get into cooking? Erin: I’ve been food-obsessed my entire life. 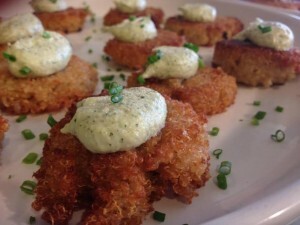 Growing up, my family’s happiness revolved around food: What we were going to cook and eat? Where could we travel to get the best bite? From a very early age, I cooked alongside my parents, who were both amazing home cooks.6 years ago I was diagnosed with Celiac Disease and my world was turned upside down. I was devastated by the notion that a lifelong love of food was being taken from me. Ironically this dietary restriction has become a massive gift in my life and surprisingly enough our cooking has become more rich and expansive than ever. We’ve never eaten so well. 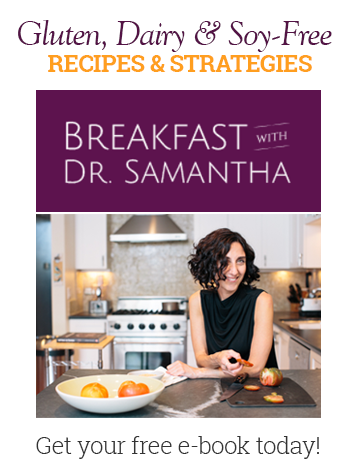 Dr Samantha: Where do you find inspiration for your recipes? Erin: My recipes almost always start with great ingredients: be it a juicy fig from our backyard tree or the first asparagus stalks in springtime. I then think a bit about what might be an easy way to prepare that ingredient without messing too much with its inherent natural deliciousness. Maybe it’s simple steaming, roasting, baking, or sautéing. Then I add some additional flavors and textures to the dish –fresh herbs, toasted nuts, or a squeeze of citrus. Suddenly, a tasty recipe is born out of this improvisation. Dr Samantha: The photos in your book are so lovely. Have you always been into photography? Erin: Before I started my blog, photography had been a lifelong personal interest of mine, but a very casual one. My cooking is so inspired by the simply beauty of raw ingredients – be it a bunch of rainbow chard, a pile of nectarines, or juicy ripe tomatoes – that I wanted to share this visual experience with my blog readers through photography. For me, as a visual person with a previous career in fashion and design, it was essential that Yummy Supper have a compelling aesthetic component. Dr Samantha:And you garden too! Does having a veggie garden inform your cooking? Erin: Our garden is a source of endless inspiration in our kitchen. We don’t grow enough food to sustain our family, but the backyard is full of great eats – lemon verbena, micro basil, nettles, artichokes, tomatoes, tomatillos, sorrel, kumquats, pears, apricots, strawberries, figs, blueberries, all sorts of lettuces and greens. Every time I step into the garden, I want to snip some tasty herbs or veg and rush back into the kitchen. Dr Samantha: What’s your key to happiness in a gluten-free kitchen? Erin: When we stop focusing on what we can’t eat, and embrace all we can~the extraordinary array of ingredients that are naturally gluten-free~there is endless deliciousness to be had! I love Asian food, and it’s one of those things where a person might think that there isn’t any wheat or gluten involved (it’s mostly about rice, right? ), but unfortunately that’s not the case. There is very often wheat flour used as a thickener in the sauce, as a binder in something that is traditionally made without wheat, or as a main ingredient in something like noodles. Want to enjoy some delicious Asian cuisine without the worry? 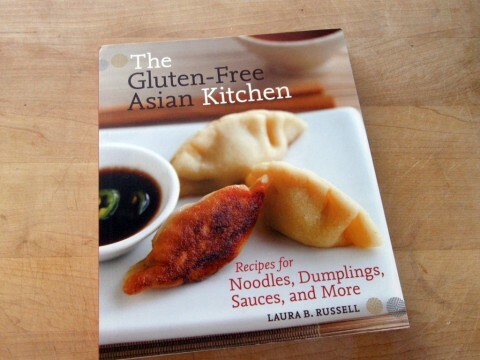 The Gluten-Free Asian Kitchen cookbook by Laura B. Russell is here to help. Something great about this book is that so many cultures are represented. There is Vietnamese Rice Noodle Salad, Korean Bibimbap, Singapore Radish Cakes, Chinese Mandarin Pancakes, Thai Khao Man Gai, Japanese Pork Tonkatsu and more. The book has a great deal of breadth, covering everything from sauces and appetizers, to noodles and dumplings, from meats and tofu to alcohol and sweets. There are also a number of vegetarian dishes. Everything looks really great, and once a person has a couple of the Asian sauces necessary, someone with a reasonably stocked kitchen should be able to find something in the book that they can cook up on short notice. The Shredded Chicken with Creamy Sesame Sauce is really quick and easy to prepare. 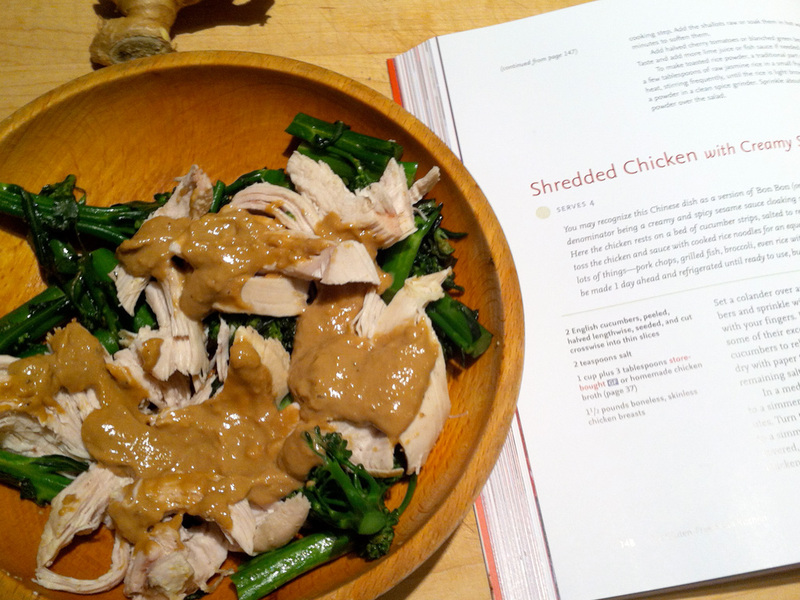 People who enjoy a good peanut sauce will like this recipe. Despite being simple to throw together, this dish has a kind of sophistication that makes it perfect to serve when you’re entertaining. Finally, it’s a great recipe to make extra for leftovers, especially the sauce. If you keep some of this sauce in the fridge, you can throw it on just about anything to make a quick lunch. The Korean-style Chicken Tacos are the kind of item that will make your family wander into the kitchen and ask “What are you cooking? It smells good!” With chicken marinaded in Korean chili powder, mirin, garlic, ginger, soy sauce, and sesame oil, they have a unique and very delicious flavor. When we made them, we both had the experience that we hadn’t tasted anything quite like them before. These are supposed to be served with cucumber, kimchi, and bean sprouts, but we thought that they were wonderful with kimchi and red cabbage. Once you get over the sticker shock when buying black cod, you’ll be happy that you gave this dish a try. 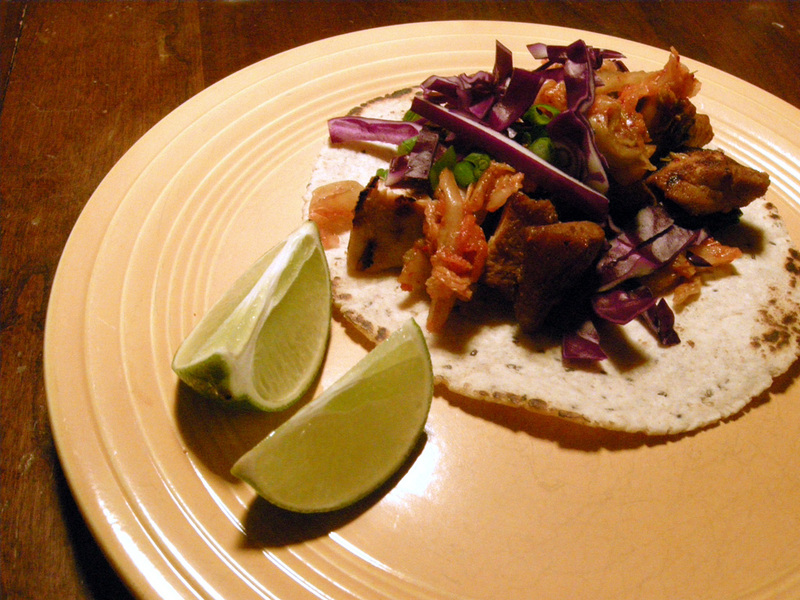 Like the Korean chicken tacos, this dish has a unique flavor. The glaze is made with sake, mirin, sugar, and miso paste. The only complication is that the fish should be marinaded overnight, so you need to think ahead. The book suggests serving it with pickled ginger, a recommendation we whole-heartedly second. 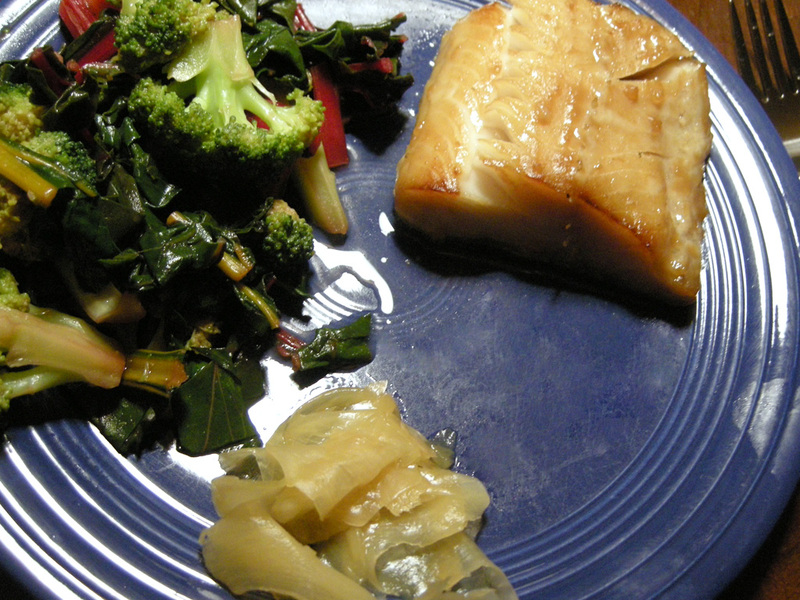 The acidity of the ginger really does something wonderful to the flavor of the fish. Here are the Sticky Rice Dumplings with Chicken and Mushrooms. There are several dumpling recipes in this book, and these were the first we tried. While the stuffing in the dumplings was delicious, the dumplings as we had cooked them were incredibly sticky and it seemed like the dough was too thick. We had tried this recipe right before we attended the soups class that the author taught at Bob’s Red Mill. During a break in the class we asked Russell some questions about the recipe. We had a conversation about the dumplings and their preparation, and she ended up very kindly inviting us to come by her house to see how they are done. Besides the dumplings, Russell also showed us how to prepare the Gingery Pork Pot Stickers from her book. The dumplings and the pot stickers both turned out great, and we learned some tricks about preparing both dishes. When properly prepared, the dumplings do end up being somewhat sticky. This is because the shell is made with rice flour. There are some things to keep in mind, however. 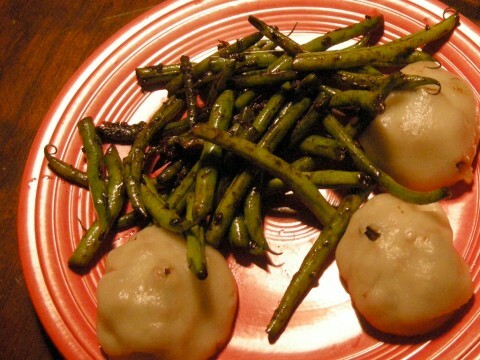 One is that if the dumplings are undercooked, they’ll be even more sticky. 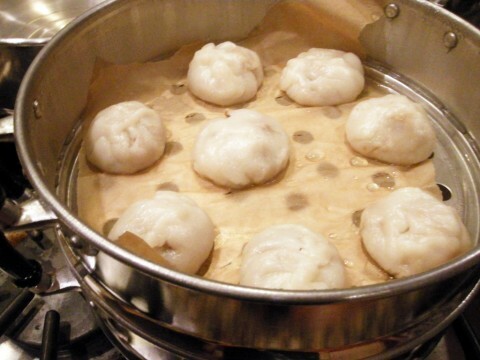 If the dumplings are so sticky that you can’t get them out of the pan, off the spoon, off your fingers, etc., then they probably need to cook longer. Also, it’s a good idea to let them set a while after they are done cooking. Russell uses parchment paper in her steamer to keep them from sticking to the pan. We found that using a silicone spatula to move the dumplings kept them from sticking to our utensils. Finally, although it can be difficult to do so, when making the dumplings, try to put them together in such a way that the shell is of even thickness all around. Mine ended up being really bulky on the bottom where the dumpling shells sealed. With the pot stickers, there is a point where you throw some water into a pan of heated oil, and it bears repeating that the cook needs to hold a lid over the pan but tilted to keep oil from spattering on them. 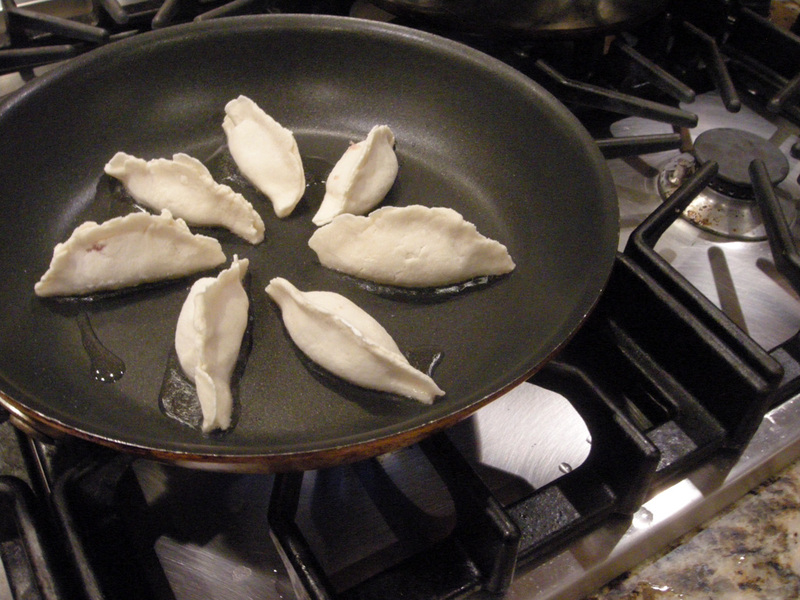 Aside from this one tricky maneuver, the pot stickers are easier to make, and they’re delicious! In addition to the recipes, this book has a wealth of information about the ingredients, sauces, and kitchen tools used for making Asian food. You will find here: A chart listing common Asian food ingredients, whether they may contain gluten or not, and brands and sources for gluten-free alternatives; an extensive guide and glossary for common Asian spices, ingredients, sauces, condiments, pantry items, cooking tools, and gadgets; and last, a short primer about enjoying sake by Oregon sommelier Marcus Pakiser. 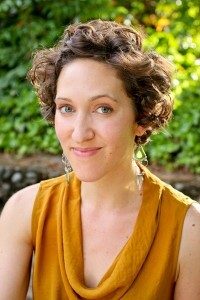 Laura B. Russell writes “Gluten Freedom,” a monthly column for the Oregonian’s Food Day section. See here for a whole list of previous columns. She is also a contributor to Portland’s MIX magazine, online gluten-free magazine Easy Eats, and Living Without Magazine. She also somehow finds time to keep a blog: “Notes from a Gluten-Free Kitchen” at www.laurabrussell.com. Many times when I’m sitting down to write an article, I try to come up with an angle. I spent an inordinate amount of time trying to figure out an appropriate angle for this book review, but couldn’t really come up with anything. Finally I realized that there wasn’t any good angle except to say that it’s a great cookbook and we love it. The Gluten-Free Asian Kitchen fills a glaringly empty niche in our gluten-free cookbook library, and does so with great success. We’ve also become huge fans of the author, Laura B. Russell, and can’t wait for her next book. Get The Gluten-Free Asian Kitchen on Amazon! I just wanted to very quickly mention that Allergic Girl’s book, Adventures in Living Well with Food Allergies is out. When I was starting this blog, she was kind enough to give me a boost, and has always been an interesting read. You can check out her blog here. First of all, thanks to Triumph Dining for sending us out some review copies (please see our new disclosure policy). I have to say that during the time I’ve worked on this blog, I’ve gotten used to thinking of the gluten-free community as being very grassroots. There are a lot of people with small businesses and I think that I get used to having to go to a lot of different places to get all the information I want about a particular topic. So for me it was almost overwhelming to get these three items in the mail and open them up. 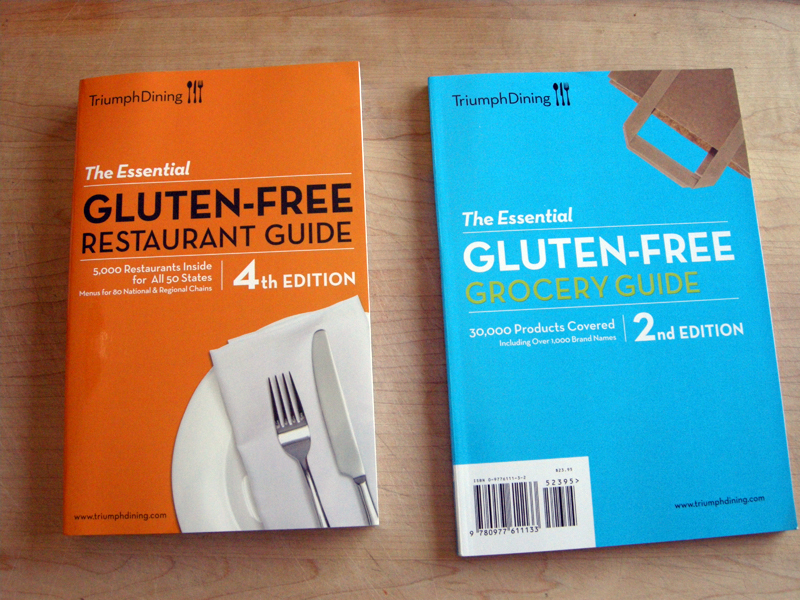 Triumph Dining publishes The Essential Gluten-Free Restaurant Guide, The Essential Gluten-Free Grocery Guide, and The Gluten-Free Restaurant Rescue Pack. The book titles are self-explanatory. The “rescue pack” is a set of cards you can give waiters or waitresses at restaurants that explain gluten-free cooking in very clear language. Sienna and I tend to travel a lot and one of our favorite things to do when we travel is eat. (Actually, I don’t need to be traveling to love eating, but that’s another story.) The Triumph Dining Gluten-Free Restaurant Guide is a listing of over 5000 restaurants in all 50 states. As of this writing, the guide is in its fourth edition and it shows. It’s exactly 500 pages long. One thing that I’ve seen in other guides like this and that is missing here is driving directions from local highways. This makes it really easy to find your way to the establishment if you’re driving through a town or city. At the end of the gluten-free guide is a section of lists and menus of 80 national and regional chains. Almost all of these have notes as well. Some of the notes are quite extensive and informative on their own. The real jewel in the crown of this book, however, is the first few chapters. These contain very helpful information about how to best deal with restaurants and waiters. Besides giving tips on how to convey information in a way that people will understand, the authors also talk about building short and long term relationships with restaurants. This aims to be a guide that you can carry along with you to the grocery store so that you can look things up to see if they’re gluten-free or not. It is in its second edition and covers over 1,000 brands and 30,000 products. The front section begins with an index, and continues with an introduction, a section of tips for grocery shopping, an overview of food labeling laws, and information on how best to use the guide. The guide itself is broken up into sections like most grocery stores are. So there’s a produce section, a baking supply section, a soup section, etc. At first I didn’t understand this way of organizing the book. I thought that there should be a master index at the end of the book where you could look something up. I still kind of think that there should be something like that. However, I decided to test the book and thought of a couple of different things I might want to look up as if I were in a grocery store with the book in hand. I was able to find tamales very quickly (Prepared Meals, Trader Joe’s, Tamales, Chicken Tamales). And likewise, canned pears were easy (Canned Goods, Fruit). Bacon was just as easy (Meat, Bacon). Though I’m sure that sooner or later I would be able to stump the book, it does seem to be organized well. The book ends with a list of common ingredients so you can see what is safe and what isn’t. The list looked pretty complete to me. Although it’s an impressive book, I feel a lot more excited about the restaurant guide. Once you get used to reading ingredient lists and looking for all the different indicators for wheat, I think you get pretty good at it. A book like this would end up being a great supplement for people who, after reading a label, still find themselves unsure, or people who would rather consult a book than a list of ingredients. These cards are in English on one side and in other languages on the back. There are ten cards and the languages covered are: English, Chinese, French, Greek, Indian, Italian, Japanese, Spanish, Thai, and Vietnamese. As I mentioned earlier, the cards lay everything out very clearly. They are broken out into three topics: I Cannot Eat, Please Check, and I Can Eat. I think the I Can Eat section is an especially great idea because often times at restaurants, when a waiter or chef is presented with a food allergy limitation, it’s like they suddenly get amnesia and can’t think of anything they could ever feed you. Most people really want to be helpful and are happy when given some advice about what would work along with being told what won’t. At the end of each card there’s a nice “Thank You” and a box with instructions about cross-contamination. The cards are awesome. I definitely plan to have one on hand when we go to Italy in September. We want to know: Have you used either of these guides? Can you think of any uses for them that I missed? Let us know in the comments! Final note: We find it a little uncomfortable to be advertising a product that we’ve reviewed, but we really think we gave Triumph Dining a fair review. We would like to thank the kind folks at Surrey Books, who sent us a copy of this book to review. 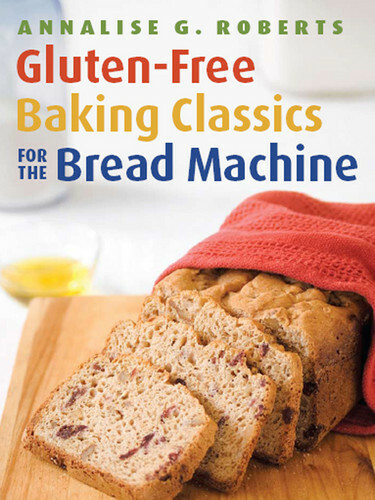 The book is Gluten-Free Baking Classics for the Bread Machine by Annalise Roberts. The book is rather short, weighing in at 72 pages, and very much to the point. It is about making a dozen or so varieties of gluten free bread with a Zojirushi BBCCX20 Home Bakery Supreme Bread Machine . 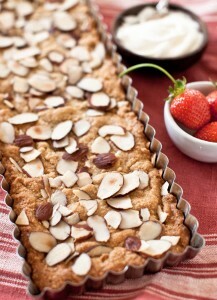 Annalise Roberts is the author of the very popular book Gluten-Free Baking Classics . The bad news: When we embarked on reviewing this book, we were discouraged by the fact that we don’t have a Zojirushi BBCC-X20 Home Bakery Supreme 2-pound Bread Machine. In the book, Roberts discusses what bread machines can be used. She notes that the V20 Zojirushi is basically interchangable with the X20. She also had people test her recipes using bread machines other than a Zojirushi. The machines she lists are Panasonic, Breadman, and Cuisinart. She notes that “Most were able to maneuver their programmable cycles to produce bread of fairly comparable taste, texture, and appearance.” (The italics are hers.) We were able to get our hands on a Zojirushi for testing and didn’t notice much of a difference in our own tests. See our Gluten-Free Bake-Off here. We should mention that the Zojirushi BBCCX20 is on our Bread Machines for Gluten-Free Baking List. 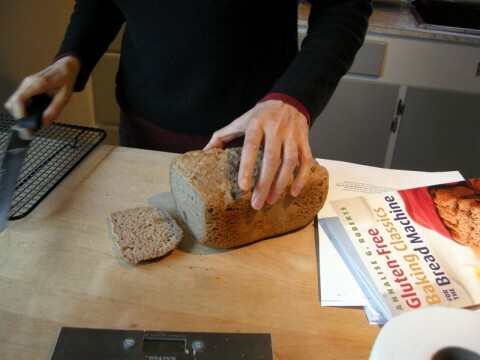 Here is another site with useful bread machine information. 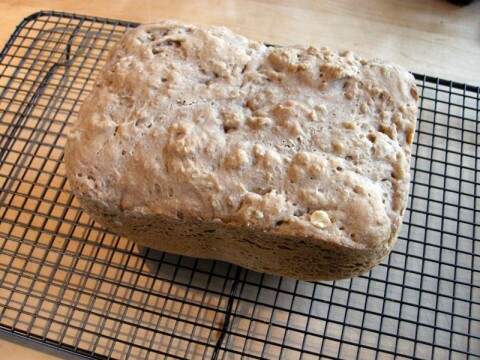 Here’s the good news: We were still able to use these recipes to make delicious bread. More about the book: Besides the Dedication and Acknowledgements and the index, the book is broken up into five chapters. Chapter one is an introductory chapter telling about the methods she used to develop the recipes in the book. The index looks like it’s pretty well built. Chapter two talks about baking in general and includes a lot of helpful information about gluten free flours (the different kinds, what they do, how to store them, etc. ), xanthan and guar gum, making substitutions, measuring, and thermometers. 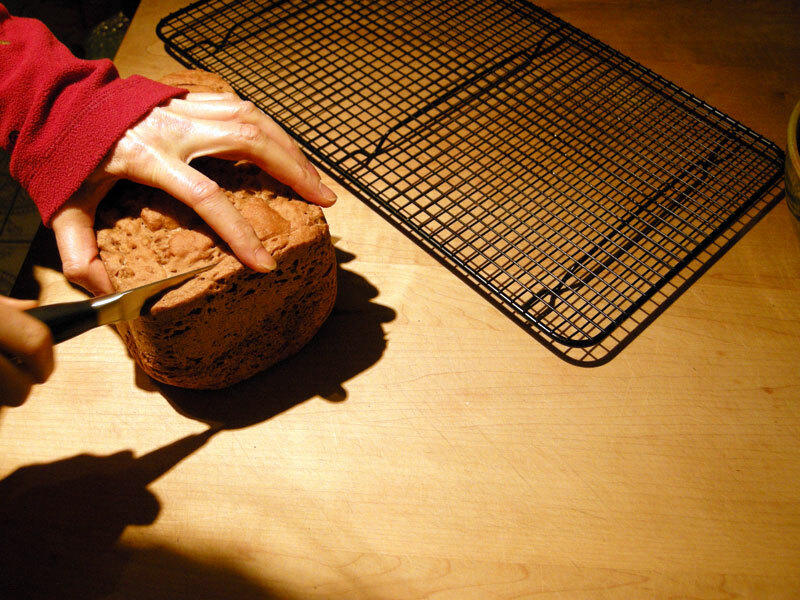 Chapter two also includes the basic bread flour mix she uses throughout the book. She uses millet flour, sorghum flour, cornstarch, potato starch, and tapioca flour in her base mix. The third chapter is about using bread machines generally, and the Zojirushi BBCC-x20 bread machine specifically. She took recipes from her book Gluten-Free Baking Classics and updated them to work with a bread machine instead of baking in an oven. This includes a discussion of the main differences between the two. She also came up with ideal settings to program into the Zojirushi bread machine to make the perfect gluten free bread and presents them here. The next two chapters are bread recipes. Chapter four includes recipes for “sandwich breads”—various recipes that use eggs and milk. Chapter five includes recipes to make bread without eggs and milk, which she calls “artisan breads.” The artisan breads are basically vegan. Roberts notes that artisan breads do not stay as flexible as sandwich breads. Here is a list of the bread recipes in the book. Almost all of these have at least one variation. One of the recipes has a total of five variations. For example, the Multi-Grain recipe has two variations—one with pecans and another with walnuts. You get extra points if you noticed that there are a suspicious number of duplicates in these two lists. I didn’t go over these with a fine toothed comb, but it would appear to me that, for instance, the Walnut Artisan Bread is very similar to the Walnut Sandwich Bread, just without eggs and milk. I would expect that more experienced bakers will know that they would be able to figure out how to adjust a recipe to exclude eggs and milk, but I am glad to have the assistance of someone who had the time and patience to come up with variations that work. Here it is on the cooling rack. You can’t really see from this angle, but the bread is shorter than most of the breads we make with this bread machine. The color is good, however. 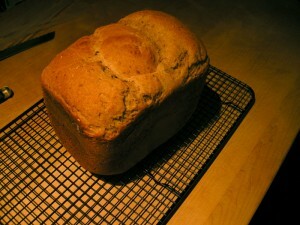 The walnut bread is dense and delicious! The crust is perfect. The bread toasts up well, makes good sandwiches, and is amazing with some honey or humus spread on it. 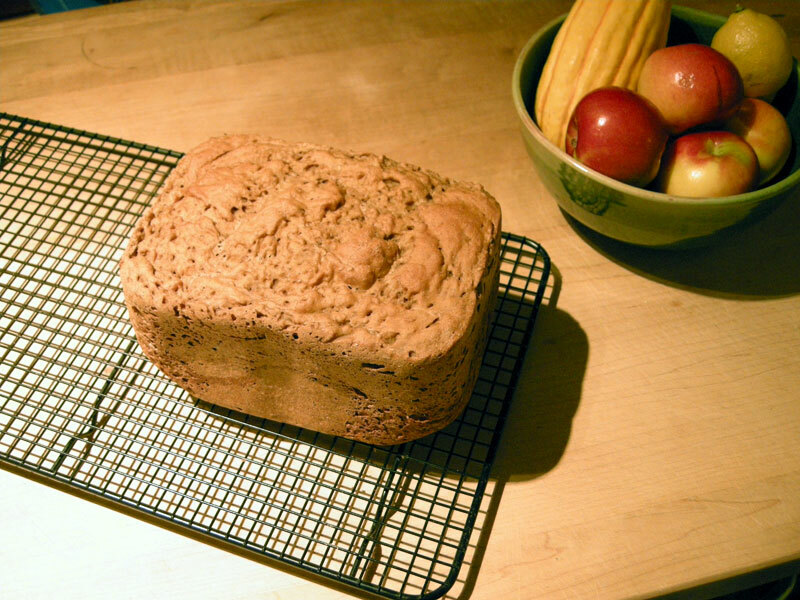 We both agreed that this was our most favorite gluten free bread recipe yet. 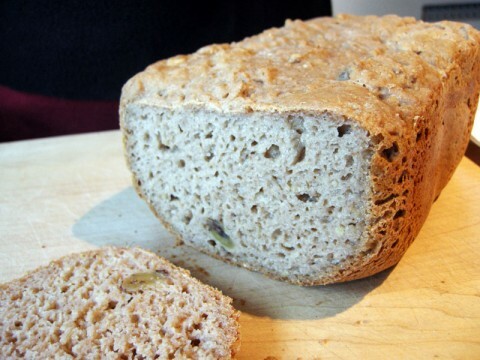 Our previous champ was Gluten Free Mommy’s Gluten-Free Millet Oatmeal Bread (click here to go to the original recipe on Guten Free Mommy). Now that we have tested to compare making these recipes with two different bread machines, including the one the author recommends, we feel more comfortable recommending it to people who don’t have a Zojirushi. We do feel that the recipes are the best we’ve had as far as flavor goes, but we’ve been a little disappointed with how well they rise. We’re really curious about this one: Would you buy this book knowing that it’s written for only one bread machine? Would you buy a bread machine because of a book? Do you like this author? Let us know in the comments! The first four chapters of the book deal mostly with the basics, such as defining gluten intolerance and celiac disease, the symptoms of celiac disease, ways your life is going to change, what gluten is and how you can avoid it, and the possible consequences of not avoiding gluten if you have celiac disease. Chapters five through nine build on the basics. Chapter five is about how to make your kitchen gluten-free. Six talks about different kinds of food you might find in a kitchen, like mixes, grains, pastas, frozen dinners, snack foods, or breads. Chapter seven reviews the grains, flours, and starches in more detail. So amaranth, buckwheat, Indian ricegrass, Job’s tears, millet, quinoa, ragi, sorghum, teff, the different kinds of rice flour, tapioca flour, potato flour, xanthan gum, and guar gum. It also has information about the differences between some of the flours and starches. Chapter eight is about shopping for gluten-free items. Among the topics of this chapter are where to buy flours, pricing of gluten-free items, and how to get a store to carry your gluten-free items. Chapter nine is about some non-food items you wouldn’t think about, like medicines, toothpaste, lip gloss, and other bathroom items. I don’t want to keep going chapter by chapter, but the rest of the book includes such topics as tips for traveling, dining out, cooking, children, social events, health and nutrition, and developing coping strategies to deal with cravings or disappointments. Finally, there are two appendices. 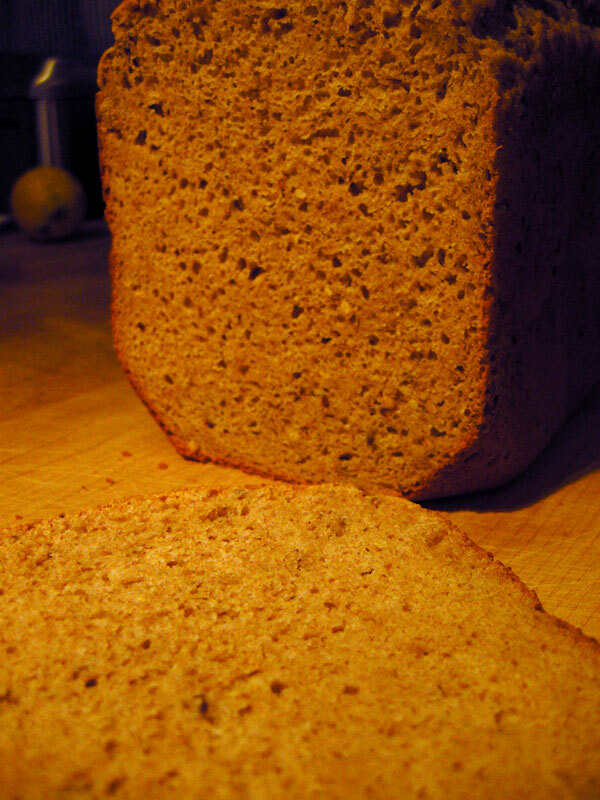 Appendix A has tips and substitution solutions for gluten-free cooking and baking. 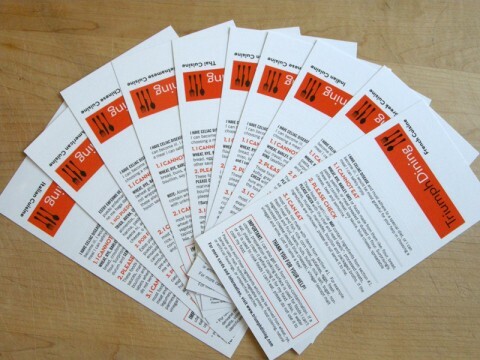 Appendix B is an extensive directory of gluten-free businesses. That’s a lot of ground to cover. Suzanne Bowland’s writing is pleasing and easy to read. It is the sort of reference book you might find yourself reading just for entertainment. I’ll very often pick it up to get an answer to a specific question and then find myself reading the next section. But at its heart it really is a reference book. At the end of the book is a whopping twenty-six page index, so if an answer to your question is in the book, you should be able to find it without a problem. My one complaint with the book is that sometimes the author spends too much time answering a question that to me seems simple. 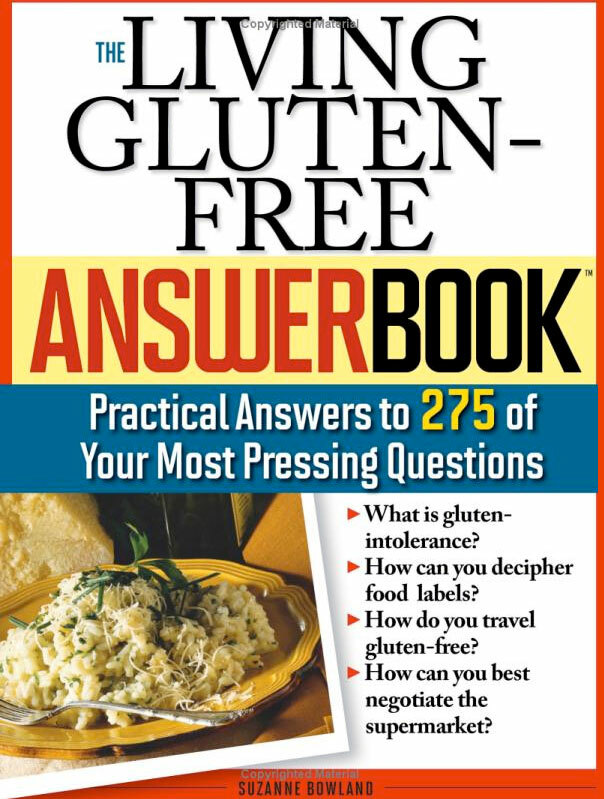 For example, a question like, “Is something that is wheat free also automatically gluten-free?” seems pretty straight-forward to me, but Bowland takes a page to answer it, and she also seems to complicate the matter by talking about oat contamination. This bothered me until I realized that the book is written so that each question is answered as fully as possible in its own section. That way, a person who wants to know about one thing can look it up and get a complete answer without having to read the whole book. While I still think it may be that this book goes into too much detail about some questions, it is very thorough, and as I said, it is an interesting read. Bowland’s writing is easy to understand and compelling. There’s something for everyone, and all the information is organized and indexed in a fashion that makes it very easy to find an answer to any question you may have. I think it would make a great addition to anyone’s gluten-free library. 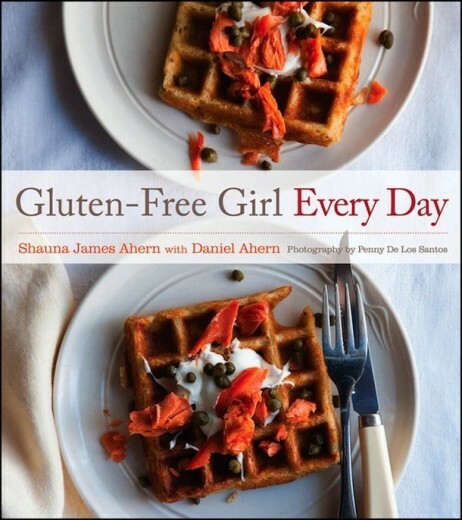 We want to know: Do you have a favorite book for the gluten-free diet? How about a favorite cookbook? Let us know! Price compared to “regular”: Same price! But it’s a book so… Yeah. Not too long ago I was on Amazon’s site and one of the reviewers there was saying that all the bread recipes from Bette Hagman’s book, The Gluten-Free Gourmet Bakes Bread were bad and tasted funny. We already reviewed a recipe from her book here , so we know THAT’S not true, but I figured that as we make more from the book we would share our experiences. 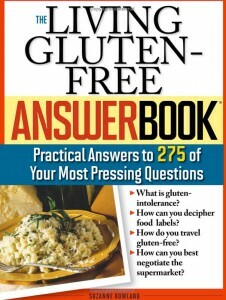 Like we said before, there’s something in this book for everyone, especially if you are gluten intolerant or celiac. So on to the bread. The original recipe for the bread I’m reviewing today has only millet flour, corn starch, and tapioca flour, which means it’s pretty low on the number of flours you need. (Apparently, though, when buying Millet flour you need to check to make sure it is not contaminated.) This is her “Basic Millet Bread” recipe on page 82. We also now have a millet bread recipe posted on Gluten Free Portland dot Org. So as I said, on to the bread. This is another great recipe. 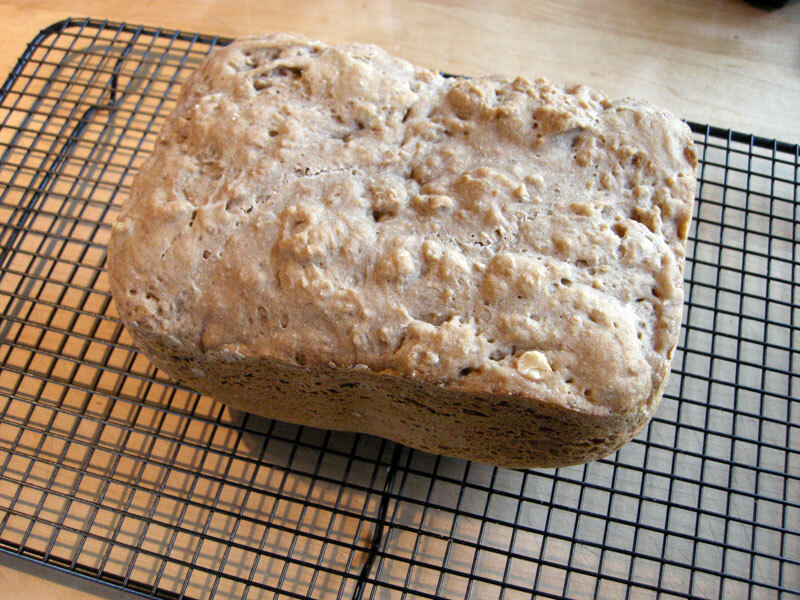 It ended up being a lot like a whole-wheat sort of bread. We added some teff flour to this recipe. Basically we replaced half of the tapioca flour with teff flour. Sienna followed the directions from the book but made the following changes: She used an egg instead of egg replacer (because we didn’t have any.) She used canola oil instead of butter and, following the directions for this in the book, decreased the amount of water to offset the change. She didn’t add gelatin. She used vinegar instead of dough enhancer. She added two tablespoons each of pumpkin seeds and sunflower seeds. Then she put it all in the bread maker (following the bread maker manufacturer’s instructions of course) and BAM! Sorry about the dark photos. I need to invest in some better lighting for our Gluten Free Recipe Laboratory. Sienna loves this bread! I like it too, but not as much, I’m afraid. It is fluffy and toasts up really well. 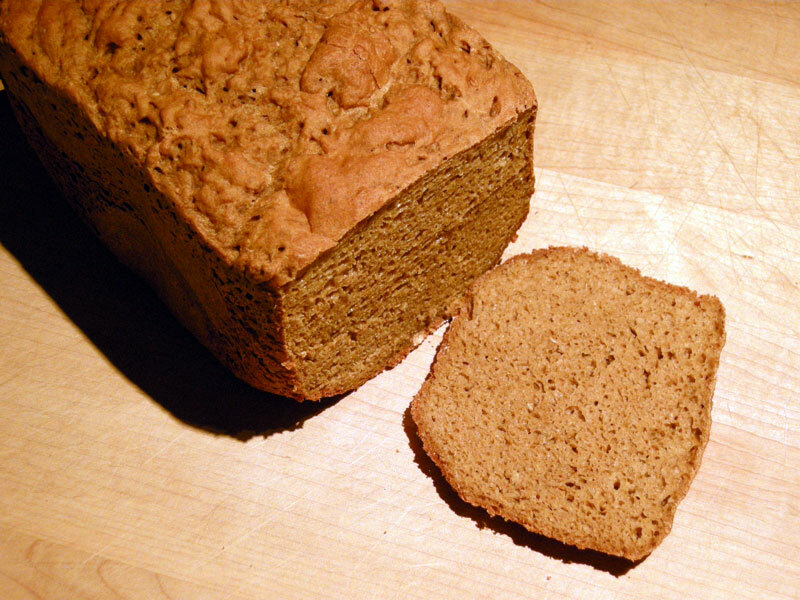 Like the last one we reviewed, this is the kind of bread that is great for making sandwiches. It also toasts like a champ and tastes great with jam or with eggs and bacon. Did I mention that we used a bread machine to make this bread? Our next post isn’t Portland-specific either, but we’ve been snowed (and now iced) in for a week. So today we’re going to look at a bread recipe from Bette Hagman’s The Gluten-Free Gourmet Bakes Bread. 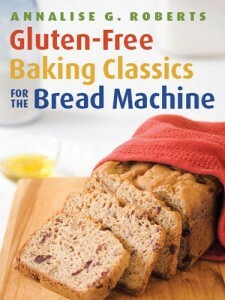 This book is completely full of bread recipes and is a great addition to your library if you’re on a gluten-free diet. On the plus side, there’s something in this book for everyone. On the minus side, every single recipe calls for gelatin, which the author explains helps with the texture and also brings the protein content up to more like that of bread made with wheat. Not that there’s anything SPECIAL about bread made with wheat, except maybe that it’s less expensive to make, easier to cook, and tastes delicious. Not that we’re bitter or anything. So on to the bread. Did I mention that you need a lot of different kinds of flour for these breads? The one I’m reviewing today, the Sesame Bean Bread, only uses three kinds of flour. They are garfava bean flour, tapioca flour, and cornstarch. By “garfava”, we think they mean garbanzo and fava bean flours mixed together. I love garbonzos, especially in a curry, but am not a fan of fava beans, which an Egyptian-Mediterranean restaurant in San Francisco would put on your falafel sandwich for an extra $0.50. I tried that one time and wanted my fifty cents back I tell you. We used a bread maker to make this bread. I really don’t really know how a gluten-free person can live without a bread machine. We researched the topic and came up with a list of the best bread machines for gluten free cooking. So as I said, on to the bread. This recipe is awesome. Sienna followed the directions from the book but made the following changes: She used an egg instead of egg replacer. She used canola oil instead of butter and, following the directions for this in the book, decreased the amount of water to offset the change. She used date sugar instead of brown sugar. She didn’t add gelatin. She used vinegar instead of dough enhancer. Then she put it all in the bread maker (following the bread maker manufacturer’s instructions of course) and BAM! The bread has molasses in it and I think that informs the flavor. Sienna thinks it tastes a little cornstarchy or something, but she really likes it too. Sometimes you want a flavorful bread to smear some humus on and eat it. Other times you want a bread to get out of the way and provide an unobtrusive addition to a sandwich. I am happy to report that this is the kind of bread you can use for a hamburger or a chicken sandwich and it will not get in the way with its ostentatious stylings. It is, in fact, awesome for hamburgers. Also, unlike some other gluten-free breads we could name, it actually gets crisp when toasted, and is great with jam or honey.